Here in the U K we celebrated our New Year on the evening of December 31st but for the Chinese the New Year will be celebrated on Monday 23rd January. The Chinese New Year is a huge festival among Chinese communities in the UK and across the world. 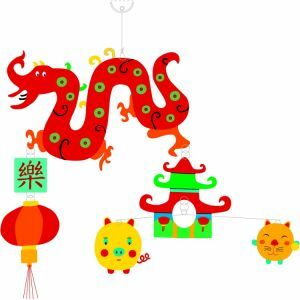 It is based on the lunar and solar calendars, and for this reason the actual date of Chinese New Year varies, but always falls between late January and mid February. 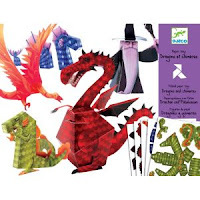 Each year in the Chinese calendar is represented by one of the 12 animals of the Chinese zodiac, and 2012 will be the Year of the Dragon. 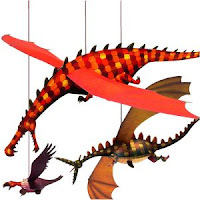 If you support the Chinese New Year or just looking for something a little different then take a look at our Chinese Dragon Mobile , and our Hanging Merciless Dragon mobile which is a pop out 3D mobile. Another fascinating idea is the Dragon and Chimera Paper Toys which is an origami kit containing different designs for paper folding dragons and wizards and the paper needed. Wishing you all a Happy New Year, good health and happiness.